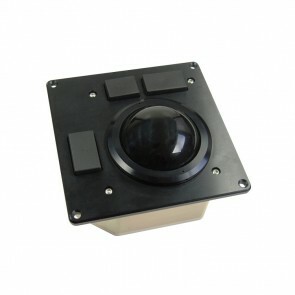 When space is tight and you need a versatile trackball solution, consider one of our top mount trackballs. With a compact footprint and first rate performance record, our top mount/front of panel mount selection comes with diameters ranging from 34mm to 63mm and a choice of tracking engines. 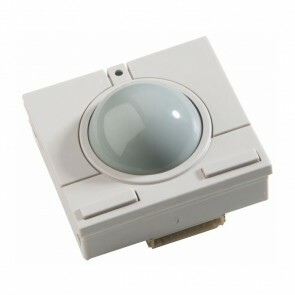 Custom alternatives can enhance functionality by including switches or scroll wheel inputs in the trackball module, thereby saving further space and reducing the need for extra external inputs. 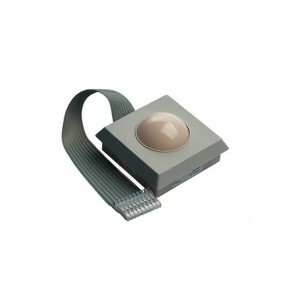 In this way, a single top mount trackball can improve efficiency and save money at the same time. 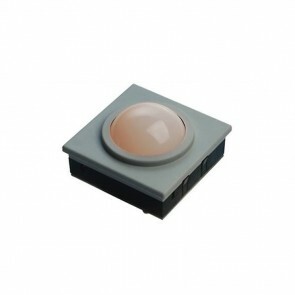 The F38 Switch Module trackball is a high specification human interface device designed to operate in extremely demanding environments where reliability and robustness are essential. 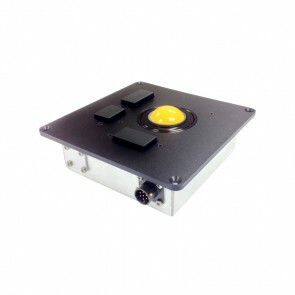 The module is supplied with three integrated switches which provide the conventional left, middle and right button functionality found in commercial trackballs/mice. Alternatively, the number and position of the switches can be selected as part of a custom solution.